This a adapted by Eternal Grace ministry in order to develop and equip rural children who do not have any means to study and survive. 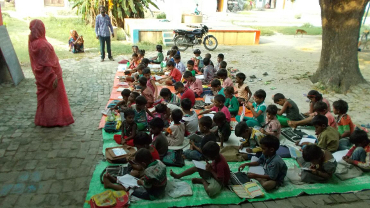 Through this project, children are being nurtured with quality Education. They are growing spiritually and their basic needs are met with utmost care. By the grace of our Almighty God, EGBVK has entered into the 6th year of operation. Children come to the project with great joy and enjoy studying. 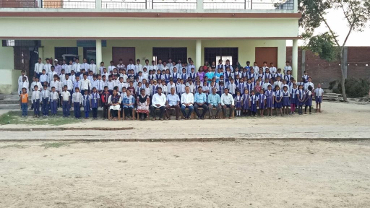 Now a total of 232 students are taken care of by 9 members of staff. We operate 73 Bal Siksha Kendras(tuition centers). The main office of this program is in Kachhwa Christian Hospital Campus. These centers are located in 5 different districts of our state, Uttar Pradesh. The trainees include 91 volunteers, 4 supervisors, and 1 coordinator. More than 3642 children are taught in these centers from Monday-Friday between 4-6 pm.